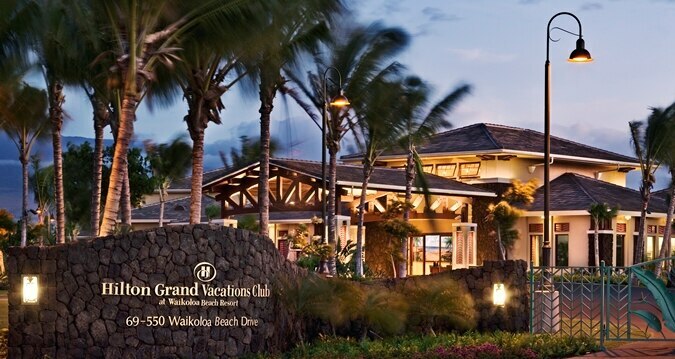 Enjoy the comforts of home on your tropical getaway at The Grand Islander by Hilton Grand Vacations. Set within the Hilton Hawaiian Village Waikiki Beach Resort, this towering new hotel features a balcony and full kitchen in every stylish suite, plus access to all amenities and experiences at the resort. As the vanguard forum of international cinematic achievement in the Asia-Pacific region, Hawaii International Film Festival (HIFF) endeavors to recognize new and emerging talent, promote career development and original collaborations through innovative education programs, and facilitate dynamic cultural exchange through the cinema arts. One of Hawaii's favorite sweet sampling events ~ 25th annual Dessert Fantasy! Event includes 2-hours of continuous dessert tasting from Hawaii's favorite establishments, silent auction, entertainment, professional judging award and public voting for people's favorite desserts. A benefit to support those with disabilities in our community. 6 hour live music festival that features some of Hawaii's finest artists/musicians in the slack key guitar genre. Festival will feature up to 15 artists in the slack key guitar genre for 6 solid hours. The audience will be able to experience the various styles of slack key guitar as well as vocal music. Slack Key Guitar is an art form that began in 1830 on the Big Island of Hawaii and continues to this day. 330 Cooke St., Honolulu, HI Don your favorite festive Christmas outfit and join Make-A-Wish Foundation for Jingle, Rock, Run event, a 5K walk/run from downtown Honolulu through Kakaʻako. A keiki sprint is available for kids under 12 years old. Visit hawaii.wish.org for more details. Ring in the New Year aboard the Star of Honolulu with a night of gourmet dining, live entertainment, party favors and the best ocean view of fireworks. Guests have their choice of three midnight cruise options. Celebration Dinner, Show & Fireworks Cruise guests will enjoy a delicious 3-course dinner featuring a whole Maine lobster and tenderloin steak, plus “My Hawaii” Show. The Romance Dinner, Jazz & Fireworks Cruise includes a sumptuous 5-course French-style dinner featuring live Maine lobster and prime tenderloin of beef and a live jazz performance in a private lounge. Guests of the Admiral’s Dinner, Jazz & Fireworks Cruise will also enjoy French-style fare and jazz music, but at their own private table in the lavish Art Deco Super Nova Room. Each Tuesday throughout the year anyone can join Historic Kailua Village’s Tuesday Trot 5k Fun Run and Walk. Big Island Running Company is coordinating non-competitive free weekly fun runs which will begin at their Alii Drive store location at 5pm, turn around at Makaeo Pavilion (Old Airport), and return to the point of origin. Visitors, residents, children, anyone and everyone are invited to join the community camaraderie and help promote active, healthy lifestyles. Open bar, dinner buffet and show featuring traditional Hawaiian activities, live island music, entertainment and dance. Award-winning slack-key artist performs on the Center Court stage. Fresh produce and local products. See ancient rock drawings taking you back through Hawaiian history. Meet at center stage, wear sturdy shoes and sunscreen, hats and water recommended. The Zoo is 42 acres and home to 995 different animals from the tropics. Komodo Dragons, orang-utans, elephants, primates, birds, reptiles, amphibians, and a variety of African animals can be seen daily. Be sure to see the wildest place in Waikiki! Experience Hawaii's only real submarine tour! Create lifetime memories diving into the habitat of countless, exotic sea creatures in the comfortable and safe submarine. Marvel at sunken aircraft and shipwrecks, and the "new homes for fish" Atlantis creates through its impressive reef development activities. Occupies WWII hangars that bear the scars of the December 7, 1941 Japanese attack. Located on historic Ford Island at Pearl Harbor, the nation's first battlefield, it's dedicated to showing the patriotism and valor of the American aviators in the Pacific. View an F-14, F-15; a 1942 Japanese Zero and its opponent, the Wildcat, in full diorama exhibits. The Polynesian Cultural Center is Hawaii’s #1 visitor attraction, with villages and exhibits representing the 8 cultures of Aotearoa, Fiji, Hawaii, Marquesas, Samoa, Tahiti and Tonga, and Easter Island. Set on 42 acres of Oahu’s North Shore, the PCC has a lagoon that hosts canoe tours during the day and an exciting Canoe Pageant at 2:30 p.m. Cool off in Hawaii’s only IMAX Theater to enjoy Coral Reef Adventure and learn the importance of coral reefs. Founded in 1904 and administered by the University of Hawaii since 1919, the Waikiki Aquarium is located on the shoreline of Waikiki Beach next to a living reef and across from Kapiolani Park. The Aquarium showcases more than 500 marine species, and maintains more than 3,000 marine specimens. New Hawaiian Green Sea turtle exhibit. Peppermint Angelfish one of the Ocean’s rarest fish. Only one on display for the public in the world. Northwestern Hawaiian Islands Exhibit. Wet’n’Wild Hawaii offers more than 25 wet ‘n’ wild rides and attractions, ideal for families and thrill seekers. The Park features Waterworld, a multi-level activity pool with over seven family slides and interactive activities, Waianae Coaster, a choice of four thrilling tube slides that take guests 4 ½ stories down a cliff, Da Flowrider, a state-of-the-art stationary wave, and the newly added Tornado which takes guests through a 130 foot tunnel and drops them down into the eye of the storm from 50 feet in the air. Sea Life Park Hawaii offers Hawaii's most diverse array of close-up marine animal encounters. Mingle nose-to-nose with the dolphins in our Dolphin Royal Swim, Dolphin Swim Adventure and Dolphin Encounter programs. Be a sea trek adventurer and photograph rays, turtles and sharks in the 300,000 gallon Reef Tank. Hand feed a sea lion, swim next to a ray in the Hawaiian Ray. Journey through the 2008 “World’s Largest Maze,” as featured in the Guinness Book of World Records, where fearless adventurers can search for eight secret stations on their way to solving the mystery of the maze. Then, take a ride on the Pineapple Express train. Next, stroll through the Plantation Garden Tour. Experience Hawaii's most popular sunset dinner cruise aboard the award-winning 1,500-passenger Star of Honolulu! Enjoy constant entertainment, from welcome hula to live Jazz and Polynesian show by the largest cast on island waters. Dolphin Quest takes you on a journey into the intriguing world of the dolphin through amazing face-to-face encounters. Your journey of discovery transports you to a place where people and dolphins make lifelong connections and dreams of touching and swimming with these magnificent beauties of the ocean come true. A non-profit association cooperating with the National Park Service, this company operates the only USS Arizona Memorial Narrated Tour and the only gift store at the Pearl Harbor Visitor Center. In addition, this organization assist the National Park Service at the Kalaupapa National Historical Park on the Island of Molokai. Hawaii's oldest and largest skydiving company offers daily tandem skydiving at the World's Most Beautiful Drop Zone. Tandem is the safest and easiest way to experience the thrill of skydiving for the first time. Roberts Hawaii is a full service transportation and activity company that delivers first class transportation, personalized sightseeing tours and excursions. Our employee-owned and operated company began serving the tourism industry on Kauai in 1941. Today, after 70 years, our service extends to the four major islands of Oahu, Maui, Kauai and Hawaii’s Big Island. Nature walks and Water sports including jet ski, parasailing, Hanauma Bay snorkeling, scuba diving, bumper tube, banana boat rides, wakeboarding, and surfing. Oahu's only 27 hole course located on the sunny Ewa plains, just forty minutes from Waikiki. The course occupies 270 acres with stunning views of the Waianae mountains. Ninety white sand bunkers and ten lakes protect the 27 manicured greens. Ko Olina Golf Club, designed by renown architect Ted Robinson, offers an experience for all with spectacular water features, generous fairways and challenging greens. Ko Olina Golf Club has hosted Champions Tour and LPGA events, including the LPGA LOTTE Championship from 2012 - 2014. The Ko Olina Golf Club is home to a world-class golf academy and helps golfers of all skill levels learn to play the game better. Our Tour includes an off - road excursion on our custom Pinzgauer to our launch site high in the Kohala mountains. We board our kayaks and cruise on the Kohala ditch system for 2.5 miles through a Hawaiian rainforest, 10 earth tunnels, and 7 water flumes. Our knowledgeable native guides will share genuine Hawaiian history. The Great 4-D Movie Ride is Hawaii's first and only 4-D theater. Great for all ages, the theater shows 3-D features and simulated "rides" on a 19-foot widescreen. The action is synchronized with full-range motion seats, a 2500W surround sound system, and "4-D" effects, such as blown air and water spray, for a complete multi-sensory experience. Sea Wife II is a 38 foot Delta specializing in share charters and large groups. Only sportfishing boat in Honokahau Marina that is Coast Guard inspected and certified.All tackle, ice and ice chest provided. Keep your catch. Trips daily. Dolphin Discoveries. Kona's premier snorkel/dolphin & whalewatch adventures. Our spa is a luxurious 25,000 square foot facility. The spa provides locker rooms with complimentary hot and cold tea and fresh fruit; complete with personal amenties, robes, slippers, towels, lava rock heated sauna, outdoor garden whirlpool and inhalation steam room. The spa features an exclusive selection of specialized massages, facials, scrubs, wraps, hydrotherapy treatments, sports enhancement training programs, and salon services. Seahorse Hawaii Foundation is the World's only sustainable marine aquarium that displays our collection of exotic, endangered, captive bred Seahorses & Sea Dragons, Reef fish. The original sunset and stargazing tour since 1983. Along with expert guiding we provide customized 4x4 turbo-diesel vans, arctic parkas and powerful telescopes. Hot drinks and light supper included. Hawaii's Big Island Lava Ocean Tours are the best way to view lava touch the sea. Step aboard the 34ft 24 passenger lava boat LAVAKAI for your front row seat to view lava red hot or experience the aftermath from the 27+ year eruption in the remote Hawaii Volcanoes National Park. On the misty slopes of Mauna Loa at Kaawaloa Hawaiian Forest, Kona Eco Adventures features Ziplining, ATV rides & Nature Hiking. In a Rare Native Hawaiian rain forest you’ll experience towering untouched Koa & Ohia trees, native plants and native birds you may see and hear only on Hawaii Island. Our ATV rides and Nature Hikes gives you a closer look at Hawai`i’s native flora and fauna. Whether you are zipping, riding or hiking, Kona Eco Adventures will be the greatest highlight of your vacation. Mountain Thunder Coffee Plantation is the largest Organic Coffee Farm in the nation. We invite you to join us for a coffee experience to remember. We offer free coffee tasting at both of our locations, and a free mill and roastery tour at our main location. Our mill is located in Kaloko, just 15 minutes from the airport. There you can join us for a complementary tour at the top of every hour. Take an Organic Coffee Farm Tour. RSVP your chance to explore our Award Winning Cloud Forest Estate located just past ancient lava tubes. Hawaii Forest & Trail offers eight different Nature Adventures that showcase the Big Island's amazing diversity. Adventures feature the best tour locales, great customer service, relaxed easy walks and Interpretive Guides who share with you the landscapes, legends and life of Hawaii. Native Hawaiian Lifeguards certified by the American Red Cross. Offering Surfing lessons, Stand UP Paddle or Kayak lessons and tours. Open Daily. Big Islands Lifeguard Surfing School. Blue Sea Cruises is the leader in marine Eco Adventures on the Big Island of Hawaii; operating two very unique vessels (Spirit of Kona & Makai). Our sunset cocktail & dinner cruise, Evening on the Reef/Glass Bottom Cruise, offers complimentary bar, a full course Pacific Rim style dinner accompanied by live music and a hula show plus a conga line. Winding its way through ancient lava fields along the breathtaking Kohala coastline, Waikoloa’s Beach Course is, resort golf at its finest. The 6,566 yard, Par 70 Beach Course was designed by Robert Trent Jones Jr. and was literally carved from the lava flow along the picturesque Anaeho’omalu Bay. Hā: BREATH OF LIFE. A STORY OF PASSION, IGNITED BY FIRE, SONG AND DANCE. The symbolic story of Mana and his beloved Lani, punctuated by Polynesian dance, music and blazing fireknives, is told in “Hā: Breath of Life,” a stunning, new evening show featuring over 100 Polynesian natives, special effects, animation and surround sound. It is a Pacific isle saga of birth and death, love and family, triumph and tragedy. 7:30pm - 9:00pm daily. It’s Las Vegas, Hawaiian Style® at Legends in Concert Waikiki®’s “Rock-A-Hula®!” Waikiki’s newest and largest show is exciting and interactive, featuring “Elvis” and an all-star cast of tribute artists at the 750-seat multimedia Royal Hawaiian Theater®. Quickly establishing itself as a “must see” show, Legends Waikiki® is also a great gourmet dining option! Our world-class Legends Artists® portray Elvis Presley, Michael Jackson, Madonna and others! See the current line-up at www.LegendsWaikiki.com/Cast. Nightly show time 8:00PM. Dark Mondays. No visit to Hawaii is complete without enjoying the experience of a traditional luau - and no luau is more fun or held in a more beautiful setting than the Paradise Cove Luau and Hawaiian Revue. Paradise Cove's 12 beachfront acres are alive with experiences that will turn into treasured memories. Try your hand at traditional arts and crafts and unique games of Hawaii. And don't miss the Shower of Flowers as fragrant blossoms drift down from tall palms.Take part in a traditional hukilau as guests pull fishing nets from the sea. Then follow the Paradise Cove Royal Court to a sunset ceremony to unearth the luau's traditional underground-roasted pig.The luau buffet includes traditional luau fare like poi, lomi lomi salmon and kalua pig. 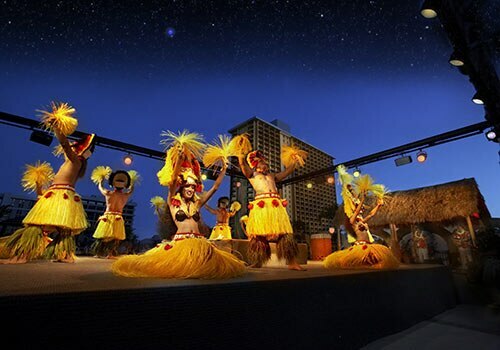 As you feast, enjoy the Paradise Cove Hawaiian Revue: traditional and contemporary Hawaiian and Polynesian songs and dances by award-winning performers under the stars of a wonderful Hawaiian night. Friday: 5 pm - 9 pm: The Big Chill music from the 60s, 70s and 80s. Happy Hour drink prices. 9 pm - 2 am: Urban Groove, Hip Hop and R&B. Saturday 9 pm - 2 am: Flashback Saturdays playing hits from the 80s, 90s and today. The only beachfront nightclub on Waikiki beach with live entertainment 7 nights a week starting at 8:30pm Sunday - Thursday, 9pm Friday and Saturday. $3 cover charge. Free validated parking. The Magic of Polynesia is the ultimate stage show combining magic, illusions, Polynesian dance, song, and chant. This truly innovative and spellbinding evening reinvents the typical “dinner theatre.” Dazzling use of pyrotechnics and other special effects make this show even more explosive. Watch as John Hirokawa performs amazing feats before your eyes. John Hirokawa is the star of the Magic of Polynesia, the most successful show in the state of Hawaii, attracting audiences from all over the world. He has won several awards, including a Merlin Award for originality from the International Magicians Society. First there was Surfer the magazine. Now there’s Surfer the bar &#8211; except it’s more than a bar, it’s a true original, located in the flashpoint of global surfing, Oahu’s legendary North Shore. Surfer is a partnership between Turtle Bay and Surfer magazine, the global bible of surfing culture and a magazine known for its stunning photography, free-flowing writing style and eye-candy advertisements. Surfer chooses its partners carefully, which says a lot about the character of this bar. Moose McGillycuddy's was first established in 1980. We have other locations on Maui, in San Diego and Pasadena. We serve breakfast, lunch and dinner and a daily half-price Happy Hour. Every night is a party with our different theme nights. Live Band & DJ Nightly in the Pub on the second floor. We offer 8 flavors of cold Draft beer and a retail shop for T-shirts, glassware and bat's. We pride ourselves on our long-term friendly staff. Our clientele is a fun mixture of local's and visitors. Mai Tai Bar is the best Pau Hana spot in Honolulu with a happy hour that wins awards year after year. As the sun sets, enjoy unequaled island style live music twice daily in the open air. Our lanai bar is perched comfortably atop the Ala Moana shopping center so parking is no worries. The Story of Haleo - the Voice of Life, at Sheraton Kona Resort & Spa celebrates the history of the land divisions at Keauhou, and the heart of those who came from this area. From the birth of Kamehameha III to the surfing stories of Heeia Bay, the dancers and musicians take you on a journey through a special time in Hawaii's history, sharing the stories of our Polynesian cousins and the gifts they brought to Hawaii through language, culture, music and dance. Guests have the opportunity to meet the dancers before the show, to "talk story" and learn more. You remember. The background sound of surf against soulful steel guitars. Laden tables fragrant with imu-roasted kālua pig, island fish, laulau, lomi salmon, sashimi and piles of pineapple, papaya, and more. 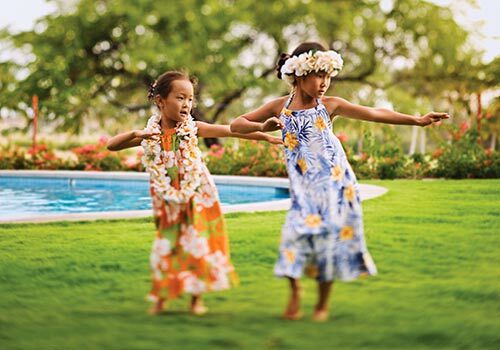 Teach your keiki the joy of finger-licking poi, dancing hula to the "Hukilau" or being wowed by the fire dance. Created for Newsweek magazine back in the 60's The Mauna Kea Hawaiian Lū‘au completes the experience with a taste of culture shared by means of music, food and family tradition. Delight your senses and invigorate your spirit. Sip and enjoy our exquisite selection of fine wines and spirits. Relax with a cup of Kona’s best coffee complemented with tasty gourmet bites and fresh sushi in a comfortable and relaxing setting. Enjoy a taste of Old Hawaii in Malolo Lounge, a stylish bar near the main lobby of the resort. Offering five distinctive seating areas, the lounge is the perfect place to gather with friends and family. Relax over light fare and Hawaiian inspired appetizers. Sip a signature cocktail or sample one of 12 vintage wines available by the glass or a range of local & imported beers. Admire original artwork by artists from Hawaii Island and enjoy live entertainment in this Waikoloa Bar. Let our bartenders take you back to a bygone era when sailing the SS Malolo was the first class ticket to Hawaii. Our Signature Cocktails are island-inspired twists on the classics. All drinks are hand crafted using fresh, local ingredients and house made syrups and juices. The menu highlights a wide array of culinary choices, including a seasonal selection of raw fish preparations, featuring the best seafood that Japanese and Hawaiian waters offer, as well as locally grown fruits and vegetables. At Morimoto Waikiki &#8211; eating is theater, offering a sophisticated dining experience with everything from delicious pupus to an extensive tasting menu. Acclaimed for his innovative approach to traditional Japanese cuisine, Chef Morimoto is also known for developing his own award-winning beers and sake. Morimoto’s signature offerings feature the finest and freshest ingredients, including Wagyu Beef and an endless array of sushi. Chef Morimoto says, “The quality of my ingredients is the highest expression of my skill and judgment as a chef,” and he shares this vision with every guest. Nobu is the world's most recognized Japanese Restaurant know for its innovative New Style Japanese cuisine. Nobu Waikiki features Chef Nobu Matsuhisa's classic dishes and extraordinary cocktails in a stylish and festive atmosphere. Sushi bar, private dining room, exclusive lounge menu available. One of the finest oceanside dining experiences in the islands. Savor the award-winning pacific rim cuisine in an open-air dining room, which offers stunning views from Waikiki Beach. Dinner nightly except Sunday, located in the Rainbow Tower. La Mer has recently been awarded a five-star designation by Forbes Travel Guide — the only restaurant in Hawaii to receive this accolade. Our internationally acclaimed menu features local, tropical ingredients in dishes inspired by flavors from the south of France. La Mer blends elevated service with exceptional cuisine, all with extraordinary views of the Pacific. Tranquil, graceful and refined, La Mer epitomizes superlative fine dining, and is Honolulu’s most sought-after restaurant. Roy Yamaguchi’s Hawaiian Fusion Cuisine blends fresh local ingredients with European sauces and bold Asian spices, always with a focus on seafood. Each evening you’ll find a tantalizing range of appetizers, entrées, fresh fish dishes and desserts. Oceanfront dining on Waikiki Beach featuring breakfast, lunch, dinner, and live Hawaiian music daily. Romano's Macaroni Grill celebrates the rich tradition of Italy, where the kitchen is the heart of the home and where friends and family gather to share wonderful food, wine, and good times. Macaroni Grill's award-winning chefs prepare and extensive, flavorful array of Tuscan-inspired entrees, classic Italian pasta dishes, grilled specialties, pizzas, and seasonal favorites. At Leonard’s Bakery, our baker’s are working around the clock, creating delicious treats. Malasadas are always fresh and ready to be devoured. The Pao Doce sweetbread loaves are baked daily. The pastries and coffee cakes are succulent and light as air. For the thirsty and caffeine-deficient we offer Coffee, Espresso, Cappucino, Lattes, Thai lattes, Tea, and Hot Chocolate. All perfect with any of our delicious cookies. Soul de Cuba Cafe offers a unique dining experience combining exquisite traditional Cuban dishes and specialty drinks in a fun, entertaining and service oriented atmosphere. From the best Italian tradition, Agostino’s Pizza brings a true Sicilian taste to Hawaii! Internationally acclaimed Hawaiian chef and restaurateur, Mark Ellman first conceived of Maui Tacos from the lanai of his beachfront home in Maui. With the persistent crash of waves pounding the beachfront shore, he sipped a glass of mango iced tea, contemplated life, death and the surfers waiting for the next great wave…. and the delicious Mexican food he grew up with in Southern California and longed for in his new home in Hawaii. As the sun set on the Pacific, Chef Ellman knew what he wanted to do. He went to work and in 1993 he opened the first MAUI TACOS® restaurant, in Napili, Maui. “I set out to create a restaurant fusing traditional Mexican fare with the exotic flavors from the Hawaiian Islands”. The successful result was MAUI TACOS®. Mahaloha Burger serves the freshest beef that is never frozen. We make it fresh daily with 100% free-range premium home grown beef from the Big Island of Hawaii that has no fillers, no preservatives of any kind, and no antibiotics or growth hormones to ensure the purest quality in every burger patty. All our patties are 1/3lb single and 1/2lb double that is “All Natural Grass-Fed Beef” cooked fresh to medium temperature, with just a little bit of pink in the center to ensure a juicy burger. Our buns are freshly baked. We also provide fresh cut produce that is locally grown in addition to our down home secret sauce recipe that is second to none. Casual Al Fresco oceanfront dining under the historic Banyan Tree, serving grilled appetizers. A longstanding tradition that's still the Big Island's most remarkable seafood buffet, the Mauna Kea Clambake is romantic al fresco dining just like you remember, beachside under the stars. Indulge your appetite for all the Keahole Maine lobster, sashimi, shrimp, crab claws, oysters, mussels and clams you care to eat, plus prime rib of beef and a decadent dessert bar all accompanied by Hawaiian music for dancing in the sand. Hawaii's largest craft brewery is an oasis of tasty craft beers and gourmet food! Within the lineup of a dozen handcrafted ales and lagers are several with a tropical twist. For example, Wailua Wheat Ale is made with passionfruit and Pipeline Porter is brewed with 100% Kona coffee. Two pubs - one on the Big Island and one on Oahu - serve fresh food featuring local beef, fish and produce: gourmet pizzas, sandwiches, pupus, salads and more. The menu is filled with locally-grown products, including greens, herbs, tomatoes and cheeses. Free brewery tours at Kona pub at 10:30 a.m. and 3 p.m. daily. Both pubs open daily, with live music certain evenings. Experience authentic Hawaiian dining at 'ULU Ocean Grill + Sushi Lounge on Hawai'i Island's exclusive Kona-Kohala Coast. Discover our acclaimed Regional, Seasonal and Artisanal cuisine, focusing on fresh local flavors and sustainable dining. The 'ULU team works with more than 160 local farmers and fishermen, allowing menus to feature ingredients that are 75 percent from Hawai'i Island. 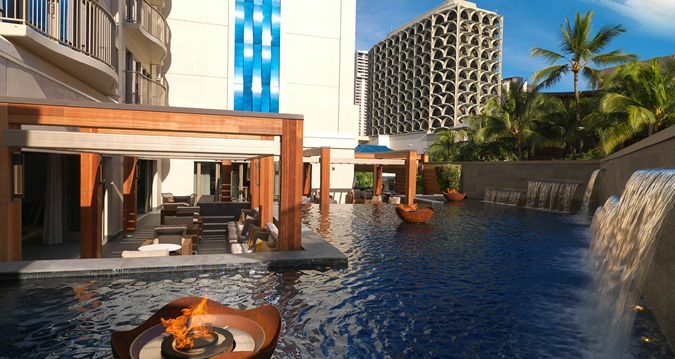 Enjoy Hawai'i's top restaurant setting, including the Sushi Lounge, Ocean Grill and three Private Dining Terraces. Fashioned after the Academy Award Movie FORREST GUMP, the Bubba Gump Shrimp Company Restaurant is a unique "eatertainment" concept. We provide an interactive experience with our trivia questions, and Stop Forrest Stop signs. Although we believe that Shrimp is the fruit of the sea, and we do cook it 20 different ways, you can also choose from a varity of fresh Salads, Hamburgers, Baby Back BBQ Ribs, a Rib Eye Steak and yummy Fish entrees that will tantalize your taste buds. No experience to Hawaii is complete till you dine at Bubba Gumps. Nationally renowned for classic steak house cuisine, featuring US Prime steaks, premium seafood & delectable vegetable menu items. The Ruth's Chris experience includes superior service & excellent wine selections. Voted "Best Steak House" on the Islands. The AAA Four Diamond award-winning Brown's Beach House is the place for the quintessential island fine dining experience located just steps from shore. Innovative, Hawaii Island inspired cuisine is drawn from simple, pure flavors from locally grown, sustainable agriculture and seafood. Products using the diverse variety of fresh seafood from our island waters redefining the continuing evolution of Pacific Rim, Hawaii Regional, and most recently Big Island Cuisine. Romantic shoreline sunsets at a hand's distance blend naturally with the outdoor open-air seating for a memorable evening under the stars. Indulge in delicious prime steaks and fresh island seafood and watch in awe as the sun makes its grand departure over the azure water of the Pacific Ocean. Awe-inspiring Sunset and Ocean Views. 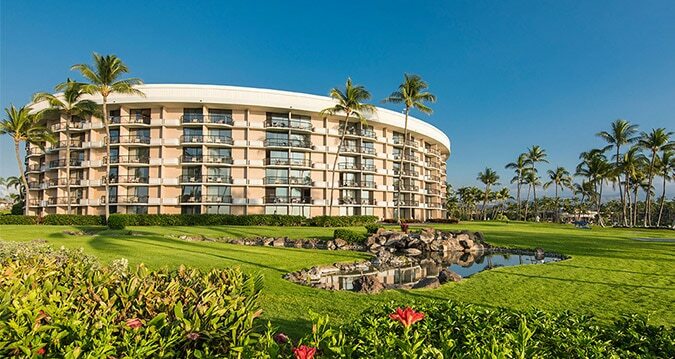 In a stunning oceanfront setting, KPC offers Hawaii Island’s most spectacular sunset views. Dine on the lanai and watch as day turns into night over the sparkling Pacific Ocean at this Waikoloa steak & seafood restaurant. Indulge in a choice of perfectly cooked seafood and steak dishes at Kamuela Provision Company. From delicious Kona lobster, mahi mahi or monchong to tender cuts of prime steak, lamb or chicken, you’re sure to find a dish you’ll love. Discover Imari, a captivating Japanese restaurant, featuring three distinctive styles of Japanese cuisine. Indulge in the Big Island’s only location for Teppanyaki dining. Experience chef artistry at the Sushi Bar with exquisitely prepared fresh delicacies. Delight in a wide variety of a la carte Japanese dishes which have been delicately given a hint of a Hawaiian twist by our creative culinary team. Enjoy the casual environment of our a la carte dining space overlooking the serene Japanese garden. The Imari culinary team has created a family style menu filled with Japanese dishes with a delicate Hawaiian twist using locally sourced ingredients where possible. The “Izakaya” style dishes have been designed for sharing multiple dishes between family and friends. Sit back and watch the amazing show as our talented Teppanyaki Chefs show off their skills and prepare exotic dishes right before your eyes. Savor delicacies such as filet mignon, jumbo shrimp, scallops and succulent chicken served with stir-fried vegetables and steamed rice prepared for you in a style you will never forget. Wake up to a Big Island Breakfast and start your day in style, overlooking the lagoon and white sand beach. Located in the heart of the resort, this dedicated breakfast restaurant offers a relaxed ambience with lavish buffets and a la carte options. Let us tempt you with freshly baked pastries, fresh island fruits and traditional American fare. Make your own delicious omelet, try Japanese or Chinese specialty dishes or sample a local Big Island favorite, Loco Moco. Enjoy an indulgent buffet selection of island fruits, hot and cold cereals, yogurts, fresh baked breakfast breads, hot items, made-to-order eggs and omelets, juice, coffee or tea. Accompany your breakfast with one of our delicious drinks. Enjoy chilled fruit juice, hot tea or freshly brewed coffee. Or order a sharp Bloody Mary or a Waikoloa Mimosa made from champagne and island juices. 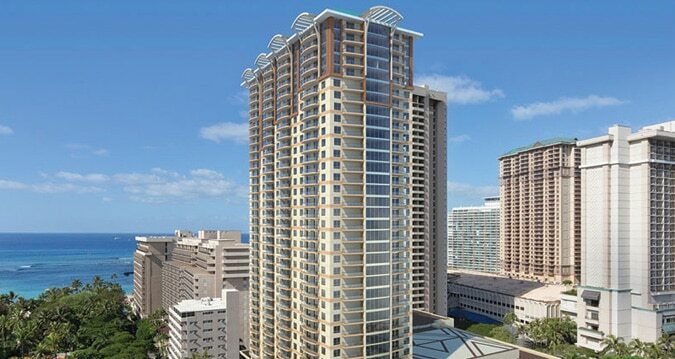 Luxury Row at 2100 Kalakaua Avenue offers one of the finest collections of luxury brands in the world. International retailers include Chanel, Gucci, Saint Laurent, Coach, Tiffany & Co., Tod’s, Bottega Veneta, and Hugo Boss. 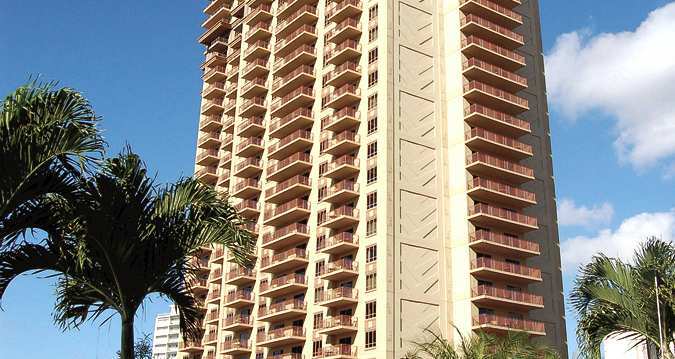 Located in the heart of Honolulu’s Waikiki beach resort retail district, Luxury Row at 2100 Kalakaua Avenue is a renowned international travel destination. The Center has more than 100 shops and restaurants to excite every taste! Royal Hawaiian Center, the premiere shopping, dining, and entertainment destination in Waikiki, consists of more than 310,000 square feet along a three-block stretch of Waikiki's famed Kalakaua Avenue. The Center has more than 100 shops and restaurants to excite every taste! Complimentary music, hula, and cultural classes are available in the Royal Grove. It is open daily from 10:00 AM to 10:00 PM and beyond with late-night rendezvous hot spots. Just 20 minutes from Waikiki, discover Hawaii's largest open air market where the locals shop. Open three days a week and located at Hawaii's largest sports venue, the Aloha Stadium Swap Meet & Marketplace has become Hawaii's premier outdoor market, featuring over 400 vendors, crafters, artists from all over the world, a true melting pot of Aloha. At the Aloha Stadium Swap Meet & Marketplace, we offer endless rows of local merchants offering the best value on imported merchandise, hand-made items, Hawaiian souvenirs, popular local snacks, and other made in Hawaii products. Beautifully handcrafted jewelry and exclusive art pieces are made and sold by the artist themselves, which truly make great gifts for yourself or that special someone. DFS Galleria Waikiki is the ultimate luxury shopping destination, bringing together world-class brands and unparalleled client services. Select from a wide assortment of island gifts, fashion apparel, and cosmetics. And for international travelers, enjoy duty free shopping from the world's best brands. DFS Galleria Waikiki is conveniently located in the heart of Waikiki and open daily from 9 am to 11 pm. Nearly eight acres along well traversed Lewers Street has been completely rebuilt - transformed into a colorful and spirited showcase known as Waikiki Beach Walk. Eclectic and exciting, it is a new leisure destination to play and to stay. Ala Moana Center, Hawaii's largest shopping center located in Honolulu just minutes from Waikiki, is an open-air shopping oasis. Ala Moana Center currently features more than 290 stores, including 80 dining options, one of the largest collections of luxury retailers in the world, four major department stores (Macy's, Neiman Marcus, Nordstrom and Sears) and several only-in-Hawai'i retailers featuring locally-made products. The Ala Moana Shopping Trolley provides convenient transportation between the Center and 10 locations in Waikiki, every 10 minutes during Center hours. 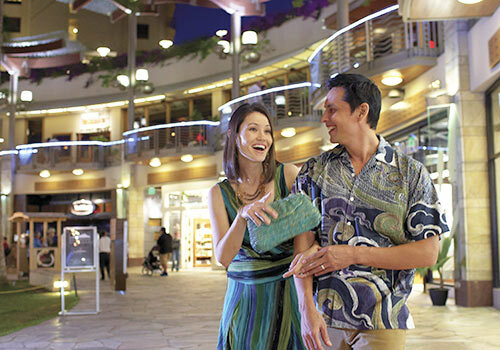 Waikele Premium Outlets is the only outlet shopping center in Hawaii. You'll find savings of 25% to 65% everyday on an impressive collection of designer and name-brand outlet stores featuring Adidas, A/X Armani Exchange, Banana Republic, Calvin Klein, Coach, Guess, Juicy Couture, LeSportsac, Michael Kors, Polo Ralph Lauren, Tommy Hilfiger, and many more. 15 miles west of Honolulu. Maker of Hawaii's Finest Ukuleles Since 1916. The Hukilau Store at the Polynesian Cultural Center is located next to the IMAX Theater and offers a fun sampling of souvenirs to suit all needs. Named after the fishing tradition that started the PCC so many years ago, the store showcases this rich history through its décor and product selection. Gift items available include souvenir caps and t-shirts for men, women and children as well as key chains, pencils and mugs to remind visitors of their island experience. Memories of the PCC can also be found in the form of DVDs and CDs highlighting the shows and cultural presentations found at the Center. Hawaii's Largest selection of Aloha Shirts, Dresses and Children's Attire. We also carry a wide variety of Souvenirs, Gifts, Jewelry, Gourmet Foods and Gift Baskets.Travel Agent, Military, and Bulk Discounts Available.Group Services include: Transportation from most hotels to Hilo Hattie are available on Oahu, Maui, Big Island of Hawaii and Kauai. A local favorite since 1970, Waimea General Store is one of Hawaii's truly unique island stores. We have a great selection of local and imported gifts, a specialty kitchen section, Hawaiiana books, soaps and lotions, delicious taste treats, a great children selection, some of this, and some of that... just a "good fun" Hawaii store! 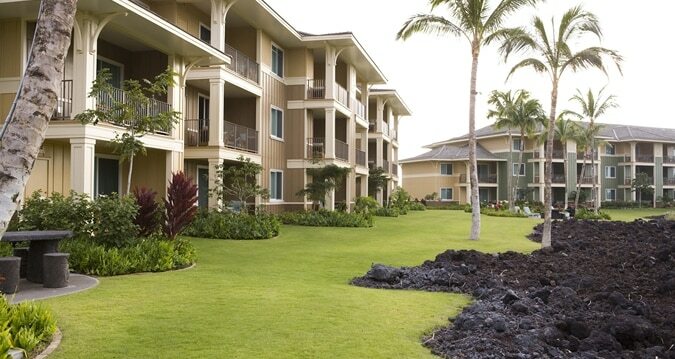 First Class resort destination shopping center located on the Big Island of Hawaii on the sunny Kohala Coast. 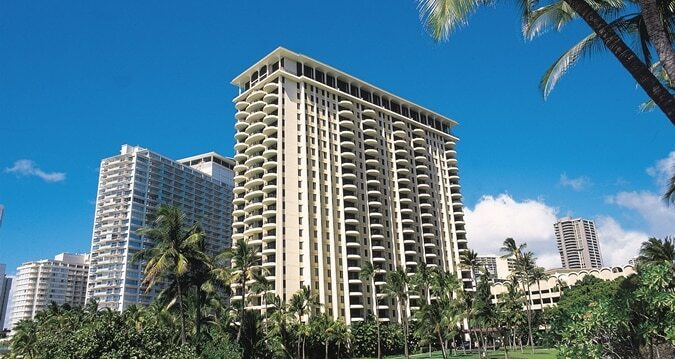 Great Shopping, Delectable Dining, Hawaiian Entertainment and Cultural Activities. Also, enjoy our self guided plant tour (ask any retail merchant for the brochure). Home of the only 4D Movie Ride in the State of Hawaii. The Shops at Mauna Lani is open 10 am to 9 pm seven days a week. Hawaii's Largest selection of Aloha Shirts, Dresses and Children's Attire. We also carry a wide variety of Souvenirs, Gifts, Jewelry, Gourmet Foods and Gift Baskets.Travel Agent, Military, and Bulk Discounts Available.Group Services include:** Transportation from most hotels to Hilo Hattie are available on Oahu, Maui, Big Island of Hawaii and Kauai. ** Deluxe Hawaiian Hut Events - Hilo Hattie can bring the Store of Hawaii to your venue. ** Conference Aloha Shirts - logo embroidery or logo can be created within the fabric. Please call for more information. Big Island Abalone operates a 10 acre aquafarm to serve the world market for premium, live abalone. Our premium Japanese "Ezo" abalone are sold daily at our farm from 8 am to 3 pm. They can also be found the 1st Saturday of every month at the Hilo Farmer's Market. Just visiting and want to send some home? Orders can be accommodated to fit your needs! Kings’ Shops is Hawaii Island’s premiere shopping and dining destination offering an exquisite collection of luxury stores and high-end boutiques giving visitors and residents a shopping experience like no other. This 71,000 square-foot lakeside shopping center is home to Louis Vuitton, L’Occitane, Coach, Tiffany & Co., Tommy Bahama, Macy’s, Solstice Sunglass Boutique and other popular shopping destinations. 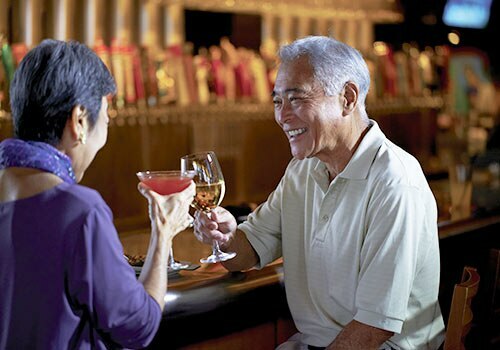 Kings’ Shops has an excellent selection of dining options from fine dining and award-wining Hawaiian fusion cuisine at Roy’s Waikoloa Bar & Grill to casual outdoor dining at Merriman’s Market Cafe as well as on-the-go fare. Live Hawaiian entertainment, guided petroglyph tours and a Farmer's Market are just a few of the weekly events available free to guests in addition to year-round entertainment. Kings’ Shops is located 20-minutes north of Kona International Airport within the Waikoloa Beach Resort on Kohala Coast. Open daily from 9:30 a.m. to 9:30 p.m.
A place for families, a place for entertainment, a place for romance, a place for fun, a place for Aloha! Twenty-eight acres of fun, serenity, culture, entertainment, shopping, and restaurants. Ueshima Coffee (UCC Hawaii) Corp.
Visit our beautiful Kona Coffee Estate overlooking Kailua Bay and sample our "Crack-u-lated kona Coffee". Free Farm Tours are offered daily. For the more adventurous, try your hand at roasting your own private label 100% Kona Coffee. $35 covers 45 minute tour plus 2 private labeled bags of 3.2 oz Kona coffee. Reservations are strongly recommended for Farm and Roastmaster tours.